For the past few years, a debate has been raging in the medical community regarding the use of surgical warming blankets. A pending lawsuit alleges that these devices, used in millions of surgeries every year, may greatly increase the risk of bacterial infections in artificial joints—which can cause a serious, potentially destructive condition called septic arthritis. If you or a loved one has suffered an infection after a knee or hip replacement surgery, please contact us today. 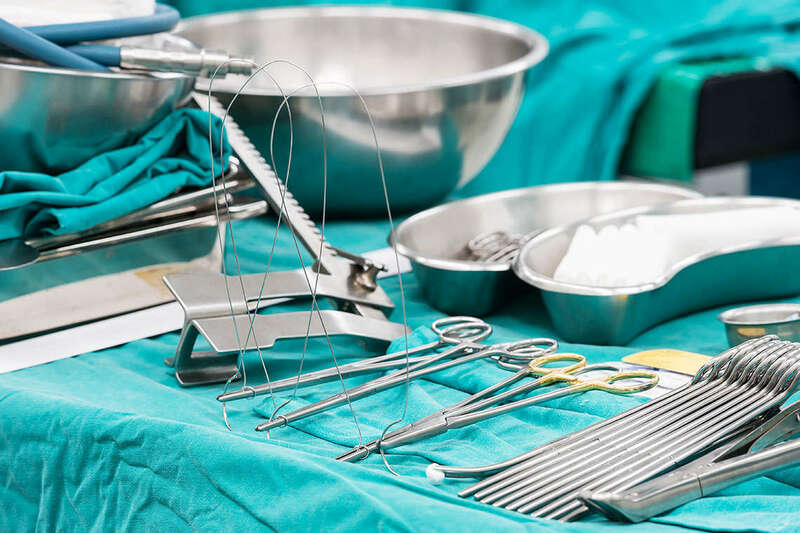 Our attorneys are investigating whether a class action lawsuit can be filed against 3M for potential dangers associated with their surgical warming device. The symptoms of these conditions usually consist of moderate to severe pain in the affected joints. Joint infections usually occur shortly after knee or hip replacement surgery, often complicating the patient’s recovery and requiring a longer hospital stay. However, infection can set in days, months or even years after surgery. In addition, artificial joint infections can be incredibly difficult to treat—due to a biofilm that forms when bacteria develops on the joint’s solid surface. This biofilm protects the dangerous bacteria, shielding it from the body’s natural defenses and antibiotic treatments. Why do surgery patients need to be warmed? One of the most common complications that arises during surgery is that the patient can become hypothermic. This can happen for a variety of reasons—anesthesia, IV fluids and the cold environment of the operating room. When patients undergo anesthesia, they become incapable of regulating their body temperature naturally, which can drop a full 35 degrees within the first 30 minutes of surgery. This can increase blood loss, the chance of infection and even raise mortality rates. Therefore, it is critical that patients remain warm during surgery. What are the options for patient warming on the market today? By far the most commonly used surgical warming device today is called the Bair Hugger. The Bair Hugger was developed by Dr. Scott Augustine in the 1980s for Arizant, which was acquired by 3M in 2010. It was revolutionary for its time, and is now used in over 90% of major surgeries in the US. The Bair Hugger works by using forced-air to maintain patients’ body temperature without increasing the overall temperature of the operating room. While the Bair Hugger performs this function efficiently, it’s now fallen under intense scrutiny as it may be contributing to the over 12,000 cases of orthopedic implant infections that occur each year by introducing bacteria into the surgical site. Over the past few years, Dr. Augustine has begun speaking out publicly against his own invention, asserting in a 2010 New York Times interview that 3M’s forced-air warming system poses a serious infection risk when used during surgeries involving implantable devices, such as hip and knee replacements. These claims were later substantiated in a 2012 a paper published in the Journal of Bone and Joint Surgery. Dr. Augustine’s newest patient warming invention is called the HotDog®, and it replaces forced-air with a super conductive new fabric called ThermAssure—which uses low-voltage electricity to distribute heat evenly without contaminating the surgical site. Already, several individuals have filed forced-air warmer lawsuits claiming that the Bair Hugger may be responsible for circulating non-sterile air. Complaints allege that the air blown out of the hose of the machine creates warm, rising, airflow currents that can transfer bacteria from the operating room floor to the surgical site. I underwent joint replacement surgery, how do I know if the Bair Hugger was used in my operation? Because the Bair Hugger is used while the patient is fully anesthetized, many people who contracted infections are not aware that the device was employed during their surgery. Therefore, if you think you may have suffered an infection following a knee or hip replacement, it’s extremely important that you contact a lawyer to find out if you may be entitled to compensation. If you or a loved one has undergone joint implant surgery and developed an infection, you should contact Morgan & Morgan immediately to discuss your options, as there are time limitations to filing a claim.